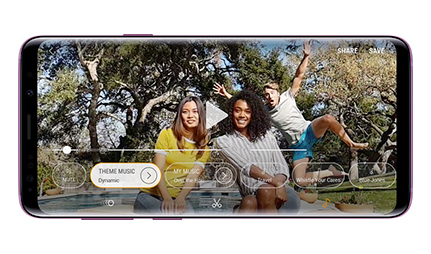 Featuring an edge-to-edge Infinity display that measures in at a whopping 5.8 inches, as well stereo speakers, the Samsung Galaxy S9 is the perfect handset for entertainment on the go. A redesigned 12MP dual pixel camera rounds the handset off as a true premium flagship offering. £601 total cost over 2 years What's This? You can now benefit from Vodafone Global roaming if you have a any Vodafone Pay Monthly plan. The Vodafone Global Roaming plan enables you to use your UK bundle of minuets, texts and data in 110 destinations worldwide. £639 total cost over 2 years What's This? Customers on eligible plans will be able to use their minutes, texts and data at no extra cost when roaming in the EU/EEA. Speed and service will vary depending on the service available in the country you visit. You must be normally resident in the UK. Data fair usage policy may apply, see our PAYM T&Cs for full details. £825.99 total cost over 2 years What's This? £579 total cost over 2 years What's This? £651 total cost over 2 years What's This? £674 total cost over 2 years What's This? The Samsung Galaxy S9 has been the star of MWC 2018, and for very good reason. Samsung’s flagship phone for 2018 puts its camera front and centre, with a range of innovations that are going to seriously improve your snaps. 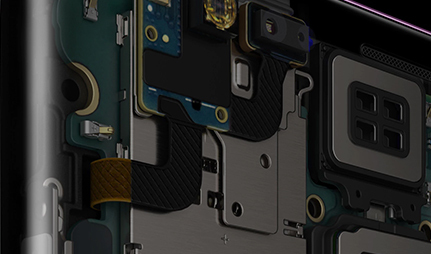 First off, the Samsung Galaxy S9 now has a mechanical aperture, allowing the camera to better adapt to its light conditions. When there’s plenty of light, it will use its f/2.4 aperture, but when things get a little darker, it can change to f/1.5, letting in more light. The larger aperture will also allow for better portraits. This means your photos will look fantastic whatever the conditions. 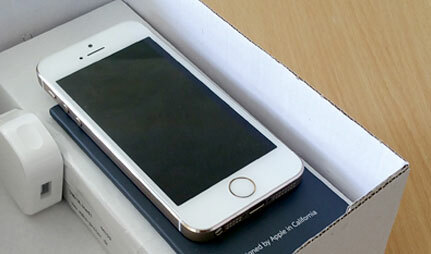 On top of this, there’s a brand new super slow-motion mode that can capture 960fps for some seriously dramatic footage. This can record in the blink of an eye, taking 0.2 seconds and slowing it down to 6 seconds of footage, for a new and exciting way to see the world. Like the Samsung Galaxy S8 before it, the Galaxy S9’s design remains fantastic with a nearly bezel-less display. The bezel has actually been shaved down on the top and bottom, making the Samsung Galaxy S9 look seriously slick. The Galaxy S9 also has the latest smartphone chips, meaning it’s a serious pocket powerhouse. All in all, the Samsung Galaxy S9 is looking like the smartphone to beat for 2018. Photography is a top priority on the Samsung Galaxy S9, which features a Dual Pixel 12MP lens. This intelligent camera is designed to help you achieve perfect results in any condition, employing a stunning Super Low Light features for pin-sharp results, even after the sun has vanished. See more than before, with the Galaxy S9 camera. Optical Image Stabilisation ensures blur-free photos, which really focus on the detail of your shot. Elsewhere, Super Slow-Mo video captures events at a staggering 960fps, allowing you to observe things you never noticed before. 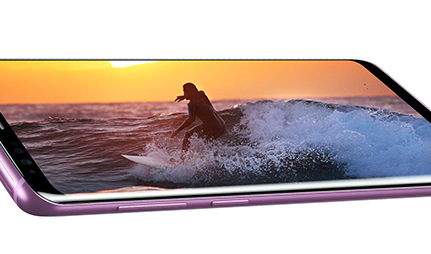 Taking its cue from the innovative Galaxy S8, the new Galaxy S9 again features a truly edge-to-edge Infinity Display. The screen measures in at a staggering 5.8 inches, offering a maximised display that allows you to see more, without being bulky or cumbersome to hold. Enjoy blockbuster HD movies and next-generation games with the Galaxy S9. As well as its impressive screen size, your content will benefit from dual stereo speakers, pro-tuned by AKG, for truly immersive surround sound. Boasting an eye-catching collection of features, the Samsung Galaxy S9 isn’t lacking in power. Whether you’re playing the latest games or multitasking on the web, the octacore processor and 4GB RAM will keep everything running smoothly. There’s 64GB storage on board, which can be boosted as required thanks to a Micro SD slot. Rounding off the specifications is a long-lasting 3,000mAh battery. With wireless fast-charging capability, you can power up without the hassle, and enjoy a reliably long battery life. When comparing the specifications of Samsung’s last flagship handset with the new Galaxy S9, it’s clear from the outset that both are outstanding handsets, worthy of rave reviews. 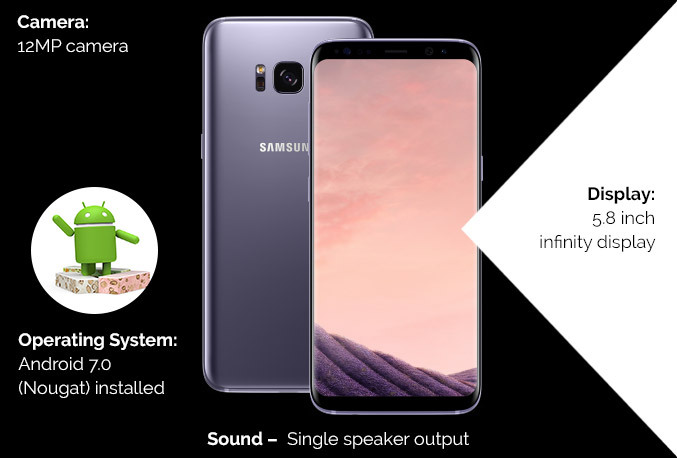 The arrival of the Galaxy S9 however, does herald a series of upgrades and improvements across the board. 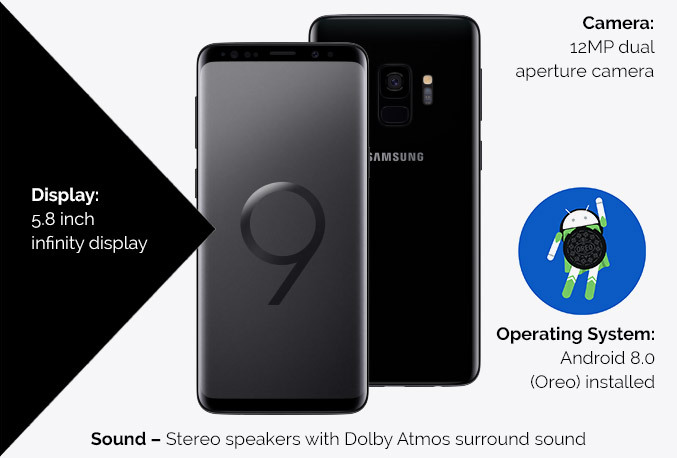 While both handsets feature a screen size that measures in at a whopping 5.8 inches, the S9 adds extra immersion to your entertainment with new AKG stereo speakers with Dolby Atmos. You’ll also notice an upgraded UI, with Android Oreo replacing Android Nougat as the pre-installed OS. Featured on both handsets is iris scanning technology, wireless charging, Bixby assistant, and an IP68 water resistance rating. The availability of a new colour selection on the S9 will please the style conscious however, with the arrival of Lilac Purple alongside Midnight Black and Coral Blue. 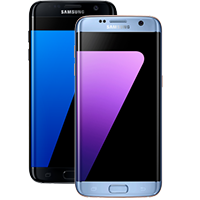 Which Samsung Galaxy Phone Is Right For You? 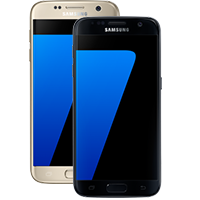 Looking for a new Samsung smartphone? We've put each handset head-to-head to help you decide which is the perfect phone for you. 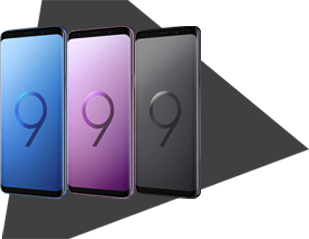 Samsung have revealed their latest flagship phones, the Samsung Galaxy S9 and S9 Plus. We compare these two epic handsets. Learn all about wireless charging, including what it is, how it works and which smartphones are currently using the new technology. 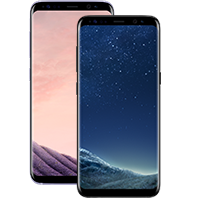 If you’re at the end of your existing tariff, why not upgrade to the new Samsung Galaxy S9, today? 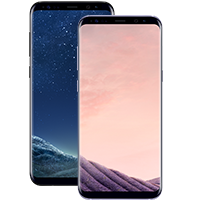 With upgrade options available across major networks such as EE, O2 and Vodafone, you can enjoy the latest Galaxy flagship while keeping your current number, hassle-free. If you don’t want to sign up to a 24 month contract or upgrade, the Galaxy S9 is also available to purchase SIM free for a single upfront cost. Keep your monthly costs to a minimum by paring the Samsung Galaxy S9 with a SIM only deal. Looking for a reduced-price alternative? Keep your eyes peeled, as refurbished Samsung Galaxy S9 deals will be added in the coming weeks. Refurbished phones are the perfect way to get the latest tech in your pocket at a lower cost.